Martha Hunley is responsible for real estate sales, leasing, project formation and promoting the sale of KW services: an integrated full service firm offering brokerage, development,construction, finance, and property management services. Martha provides real estate solutions for clients with retail requirements. 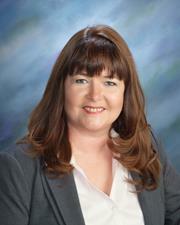 Martha has 16 years of commercial and residential real estate experience. She specializes in investment properties including retail, multi-family, land, gas station and convenience stores. Martha is a member of the Ohio Real Estate Exchange and the Columbus Real Estate Exchange. She is also a Certified Client Counselor through the Ohio Commercial Real Estate Exchange.